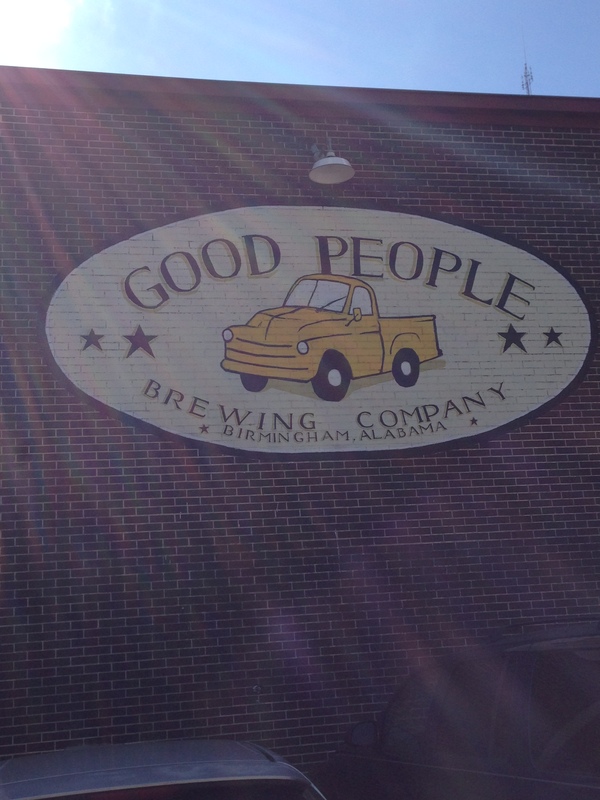 I was with a Good Friend when I stopped in at Good People Brewing Company in Birmingham, Alabama. In fact, my friend had just treated me to a gourmet lunch and had given me a grand tour of Birmingham. I guess that’s what they mean by Good People. We concluded our time together at the brewery and I enjoyed a flight, tasting a number of beers. I started with the Bearded Lady American Wheat Ale which was the best wheat beer I’ve ever had. I typically stay away from this style because wheat beers are not my preference. But, this one had a hoppy flavor to it and I enjoyed it. From there I moved on to the Pale Ale which was smooth with a slight hoppiness to it that I also enjoyed. Next was the IPA which is a great go-t0 IPA; flavorful but not too hoppy. I then tried the Brown Ale which was smooth but not too sweet or too malty. And, finally I tried the Coffee Oatmeal Stout which had a rich coffee flavor. In the past I had also had Snake Handler Double IPA, thanks to my friend, and this is also excellent – very hoppy. In short, I enjoy all of these beers and would consider Birmingham as a possible relocation place in the future ;~) The brewery is a really cool industrial/warehouse space. Old extra-large electric wire spools are used for tables. The bar is an huge circle. And, our bartender was a really nice guy who was very informative.